Arrival of R-200 for frameless water tank with rounded corner glass! *The monthly production quantity of the LegLass series is limited since it is a handmade product. We are sorry to inconvenience you but please be sure to confirm the availability and delivery date of stock when ordering. ■Rounded corner glass frameless tank. Creates a neat styling as a whole, and a space offering a wide field of view. 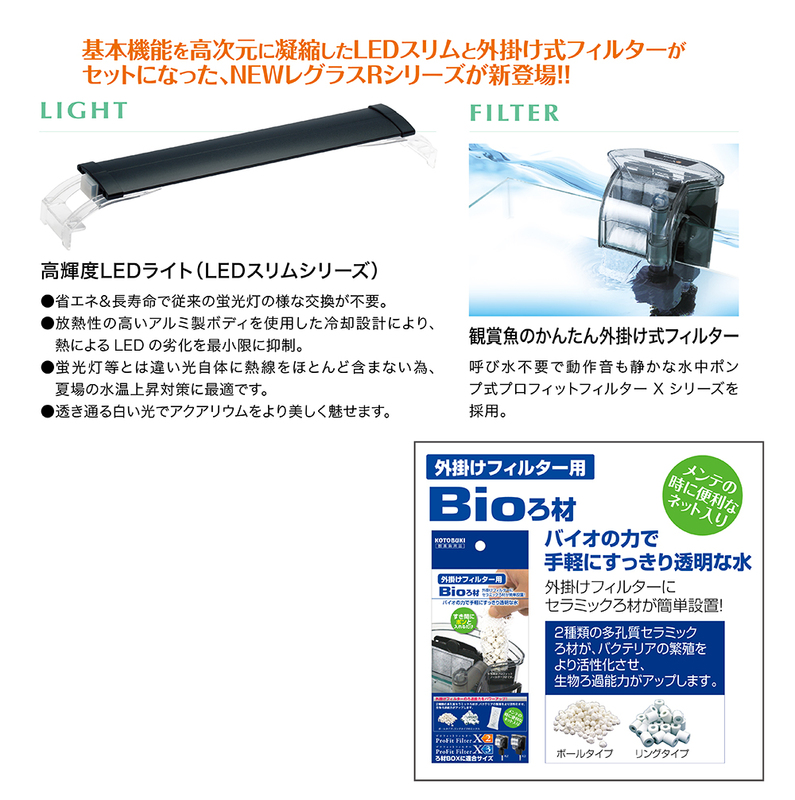 ■Using 6 mm glass, you can use with confidence of excellent quality and durability. ■Using 8 mm glass, you can use with confidence of excellent quality and durability. ■Using 10 mm glass, you can use with confidence of excellent quality and durability. Arrival of R type LegLass overflow set with beautiful rounded glass.